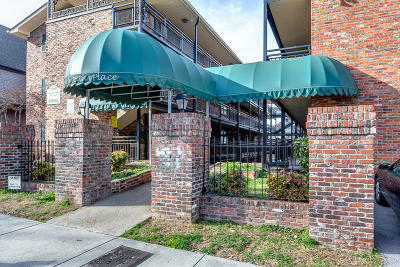 Looking for a GREAT investment property or personal residence near downtown Knoxville?! Imagine owning this affordable main-level apartment that you can call your own. NO STEPS! It is within walking distance to campus and UT football games! This unit has been well-kept, has windows in every room for natural light and includes ALL the necessary appliances like the oven/range, microwave, refrigerator, and dishwasher. HOA includes trash, water, and sewer. To top it off, this condo also has access to its own community POOL! The current tenant's lease ends May 31, 2019. This unit is being sold ''AS IS''.